Trapped in a remote desert canyon in eastern Utah for five days, his arm pinned beneath a boulder weighing almost 1,000 pounds, with no water and with little hope for survival, he managed to free himself by amputating his own arm with a pocketknife. Pinned in a 3-foot wide slot canyon near the Maze District of Canyonlands National Park south of Moab, UT, Ralston cut through the arm, below the elbow, applied a tourniquet and administered first aid before rigging anchors and fixing a rope to rappel to the bottom of Blue John Canyon and hike out to meet rescuers. Ralston had been hiking alone when the boulder fell and pinned his right arm as he was moving through the narrow slot the previous Saturday afternoon, according to information from the sheriff’s offices in Emery and Wayne counties. Ralston told rescuers that on Thursday morning he realized he would not survive unless he took drastic action. He had run out of water on Tuesday. Search efforts that had begun Wednesday evening yielded no signs of the hiker until he walked out of the canyon with two other hikers at about 3 p.m. Thursday. Ralston was taken to Allen Memorial Hospital in Moab where he was stabilized before transport to St. Mary’s Hospital in Grand Junction, CO for surgery. The episode marked Ralston’s second brush with death in a year, since he had been buried in an avalanche while backcountry skiing in the Colorado Rockies. Ralston, an avid outdoorsman who has climbed 49 of Colorado’s 14,000-foot-plus mountains, was buried up to his neck in the avalanche, managing to dig himself out along with a completely buried skiing companion within 15 minutes. Ralston’s pocketknife amputation was not the first in the region. In October 1993, Colorado fisherman Bill Jeracki cut off his leg at the knee when two boulders fell on his leg while angling alone in a remote canyon stream. In February 2005, Ralston completed his winter solo of his 55th out of 59 Colorado fourteeners. No one has ever solo winter climbed all 59 Colorado fourteeners. Aron was the first person to do so. 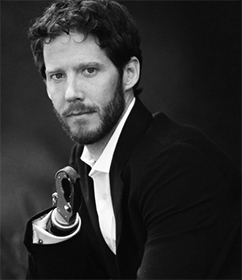 Aron Ralston was the subject of the major motion picture “127 Hours” starring James Franco, which chronicled his accident and survival. The film was nominated for six Academy Awards.